Obviously though the whole thing just sound way too good to be true which has probably made you a bit sceptical (and I don’t blame you! )… So what’s the deal, is it actually legit or is One Bitcoin A Day a scam that’ll just cost you money rather than actually help you make it? What Exactly Is One Bitcoin A Day? 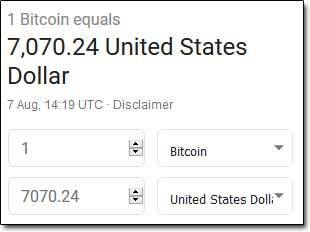 One Bitcoin A Day is a system which at a glance doesn’t seem overly impressive… Until you realize that a single Bitcoin is currently worth as much as $7,000, which means that the system is claiming it will make you $7,000 per day…. Entirely on auto-pilot! Now that’s a bold claim & a half for sure. But normally whenever you come across such a claim online you’d likely just shut the page straight down assuming it’s a scam – at least you would when it’s displayed to you in monetary terms anyway. However for some reason when it’s described in crypto terms as “1 BTC per day” for some reason it seems a little bit more legit… You start to think that “hey, maybe this could actually work”… Am I right? I don’t know to be honest, but the one thing I do know is that the One Bitcoin A Day system sure as heck doesn’t work as promised & instead of helping you make money the only thing it’s really going to do is help you LOSE money instead. How do I know that? Easy – I’ve exposed this exact same scam several times before & I know how it all works. It’s previously been called the Crypto Edge System, the Crypto VIP Club & various other names but despite each of the websites being slightly different, the whole scam behind it is exactly the same. How Does One Bitcoin A Day Work? Well in short it simply doesn’t as promised – at all, and I just wanted to re-stress that in case you happened to have jumped straight down to this section of the review & skipped out the bit of above. 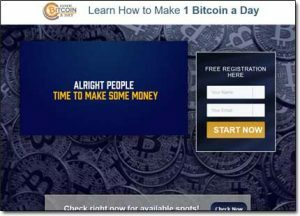 Basically the One Bitcoin A Day system is nothing but a binary options scam & I’ve exposed literally hundreds of them before right here on this blog. I exposed so many in fact that I even decided to put together a huge post geared towards helping people get their money back. 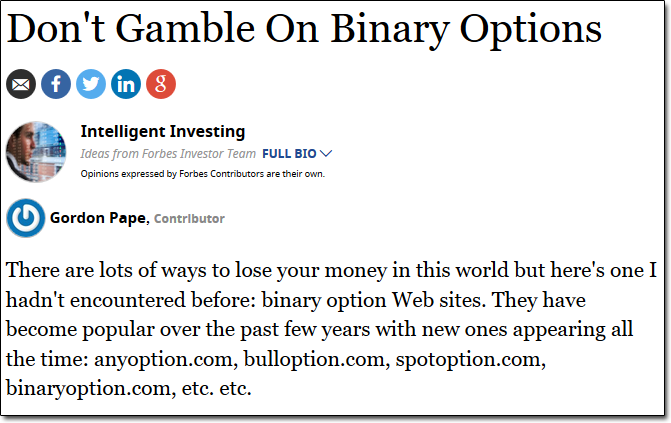 Well basically the systems put together by these binary options scammers, just like the One Bitcoin A Day system, all promise to provide quick & super easy ways for people to begin making money online. They make out like you can just sign up, start the system & begin making money entirely on auto-pilot. They want you to believe that you can ultimately live the life of your dreams & that you can get started for free. The con however is that they force you to make a deposit via their “recommended broker” and what they don’t tell you is that they’re actually affiliated with the broker they recommend you to – which means they get paid a commission if you deposit. And this is all they’re really interested in – which is why after depositing (which I 100% don’t recommend) you’ll be left to find out the hard way that you were actually just lied to & that the system doesn’t really work as promised. Instead of making profitable trades like you were told it would the system will actually make nothing but losses – and even if you manage to stop it before it burns through all of your money the broker you deposited via will be very unlikely to give you any of your cash back as the majority of them are complete rogues. Some of the brokers have even been known to falsify profits to pretend people were winning to get them to deposit even more. In this post I published about binary options scammers one woman mentioned how she got conned of her entire life savings. The creators of these systems are really clever because they’ve built them in a way to make them seem completely harmless. They make you believe that you can simply sign up, “try a deposit” and then withdraw your money back out if it doesn’t work as promised. Naturally many people do “try it out” and this is however the brokers have been conning so many people out of their cash. Because yes, the whole thing would be harmless – if the brokers were actually legit – but they’re not. They’re just set out to part you with your hard earned cash & once they’ve got it there’s no way they’ll let you get it back. My Verdict – Is One Bitcoin A Day a Scam? The answer to that is 100% yes. The whole thing is a total phony & as opposed to being set out to help you make money like it claims it’s really been set out to take money from you to make its creator wealthy at your expense instead. There is absolutely no way you will make any money by going through this system because it’s built up on pure lies & deceit. The whole thing is nothing more than a gimmick that’s set out to trick you into depositing your funds so that the creator can paid a hefty commission from the broker you deposit with. Therefore as you can imagine I am not going to be recommending the One Bitcoin A Day system to you & instead I’m going to be strongly advising that you steer clear of it because it’s nothing but bad news. If you really want to make good money online then you must accept that there are no shortcuts & that it takes real work. Thankfully though if you are indeed prepared to put in the work to make it happen there are legitimate programs out there like Wealthy Affiliate through which you can learn (for free) exactly how you can get started. 60 Second Payouts Review – The TRUTH!